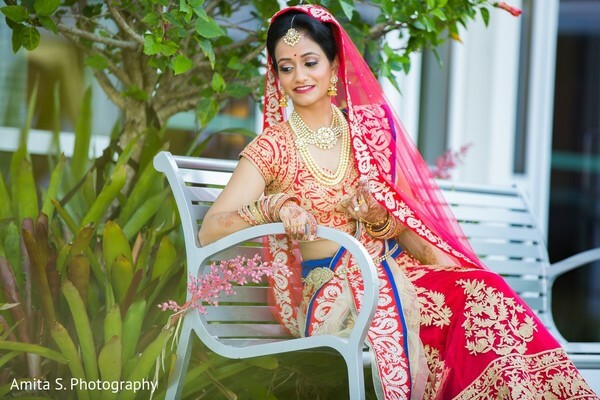 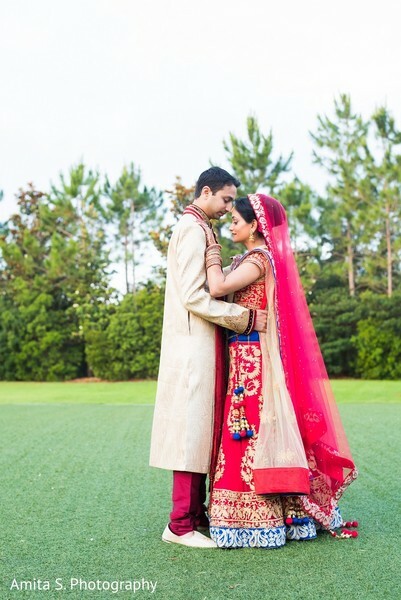 Before we dive into the most stunning outdoor wedding event to hit the Hilton Orlando at today's unforgettable Desi dream planned by Envi Event Planning, let's charm our hearts with a fantastic first look! 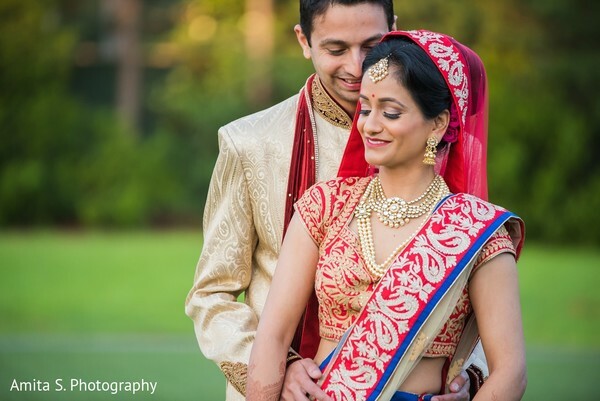 Today's Indian bride and groom, Aarti and Kunal, met up with Amita S. Photography before exchanging I dos for a romantic portrait session, and every moment captured is pure delight! 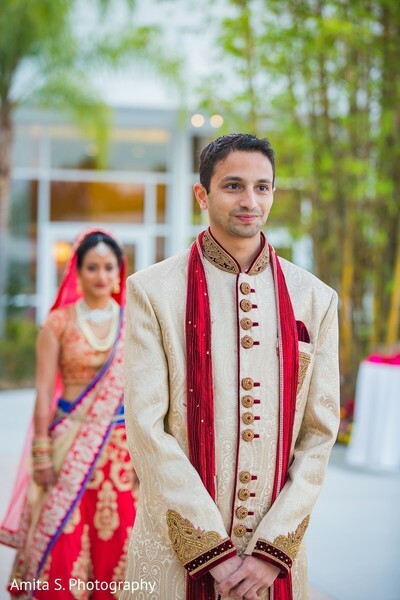 It won't be long before these two lovebirds say I do under their stunningly designed and decorated mandap by Occasions by Shangri-la, and dance the night away to celebrate their relationship status upgrade with family, friends and WeGoDisco, but we couldn't bring you those memorable highlights without these heart-melting moments! 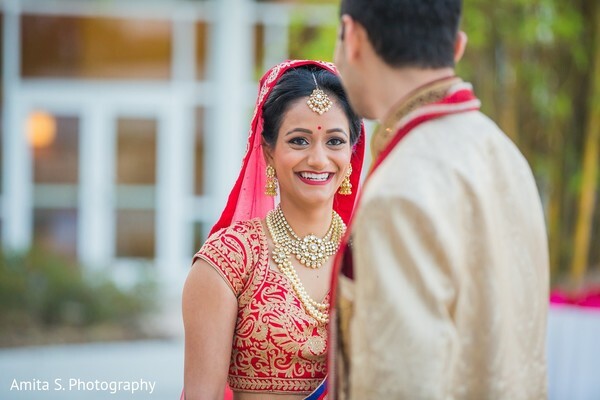 Aarti and Kunal are headed to holy matrimony when we return, and you can fill up on more of their first look details in the complete gallery while you wait! 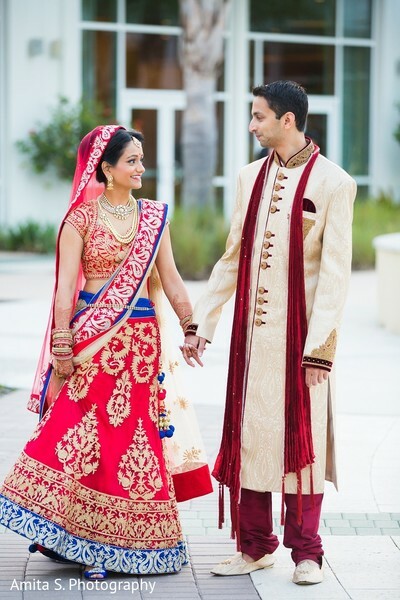 Don't miss out on the most captivating Indian wedding ceremony, my dears! 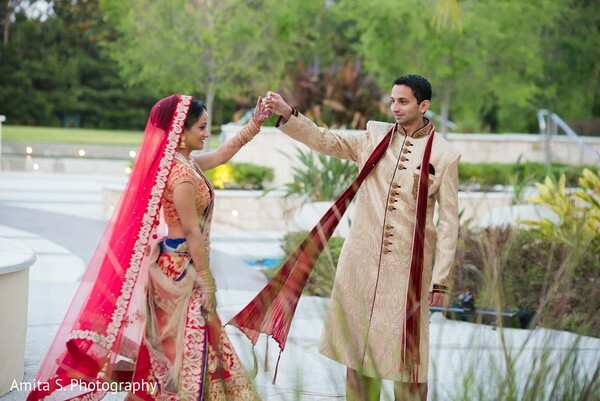 Aarti and Kunal tie the knot, next!